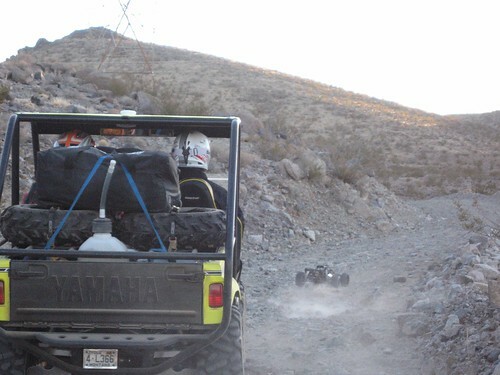 Baja 5B goes from Barstow, California to Primm, Nevada - 120 miles! Thread: Baja 5B goes from Barstow, California to Primm, Nevada - 120 miles! #1 Baja 5B goes from Barstow, California to Primm, Nevada - 120 miles! Mike, Did you see our front page? We had that posted before the information was released LOL!! I guess we need to place it somewhere more visible because many never really look at the front page, they go right by it.. It is good you posted it because now there can be a discussion on it. Mr Radlin, thank you for your enthusiasm! We are still hyped after doing this mission in the desert! Not sure if you where at RCX, but we made a nice diorama for our B2V test. Photo's from RCX coming soon! Last edited by alexboyer; 04-04-2007 at 04:35 PM. That looks like one hell of a well used baja! I can only imagine How much work (fun) that journey was!